The web-resource development will be lead by the Estonian lead partner but the development is planned to be handled with full participation of all partners. Web-resource will contain tree official languages: English, French and Arabic. Each partner will assign one person from their side (with design and/or IT experience) to work only on the web-resource and coordinate with similar professionals from other partner countries. 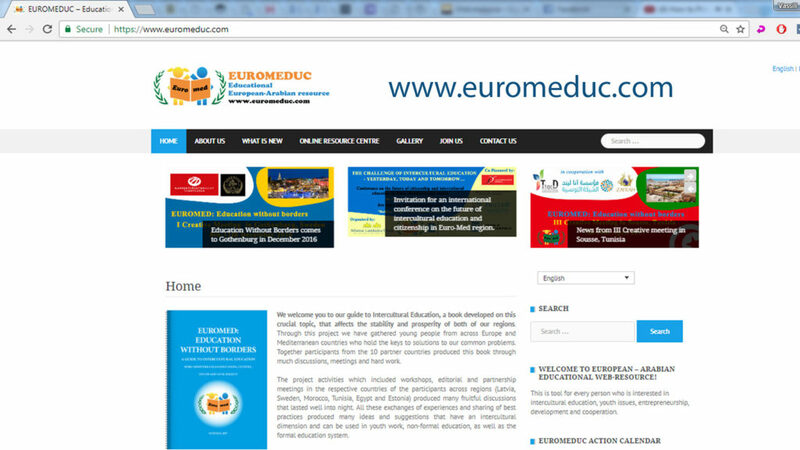 The EUROMEDUC – is a network of different organizations from the Euro-Mediterranean region, that works to promote intercultural education, formal and non formal, and the dialogue, as tools to fight against stereotypes, prejudices and imaginary borders. Vision of our network: Create an environments in which the differences are not an obstacle but a resources. Mission of our network: To provide a common ground for organisation and youth in the Euro-Med region for communication and cooperation.